Awaken your senses with the Le Reve Silicone Bunny, the heavenly new silicone massager designed to fulfill your dreams and desires. Made from silky-smooth medical-grade silicone, this waterproof mini clitoral vibe is sleek, sophisticated and features seven thrilling functions. Just press the power button to activate the amazing motor and watch the rabbit's ear flicker and flutter! The body-safe silicone is super-soft, hygienic and nonporous, and cleanup is a snap after the fun with Pipedream Toy Cleaner and warm water. Try it in the tub or shower and turn bath time into passion time! 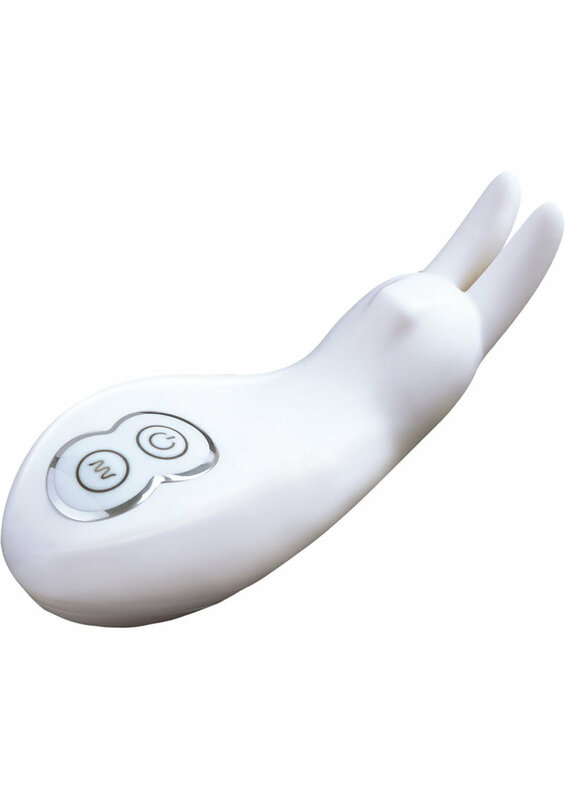 If you love clitoral stimulation from our bigger rabbit vibes, you can enjoy the same type of orgasmic rabbit ear stimulation in a petite, discreet handheld version. The velvety-soft silicone is sleek to the touch, while the super powerful motor provides mesmerizing vibration patterns. And no one will know your little secret, thanks to the whisper-quiet motor and compact size. It's small enough for your purse, clutch, makeup bag or travel tote.